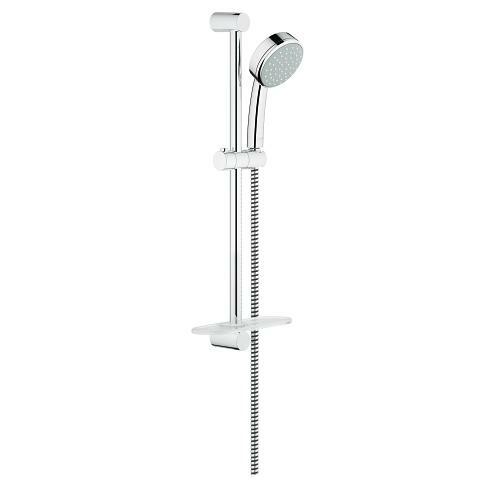 The New Tempesta Cosmopolitan 100 shower set comes complete with a hand shower, 600 mm shower rail and shower hose of 1750 mm to make showering and cleaning the bathroom easy. 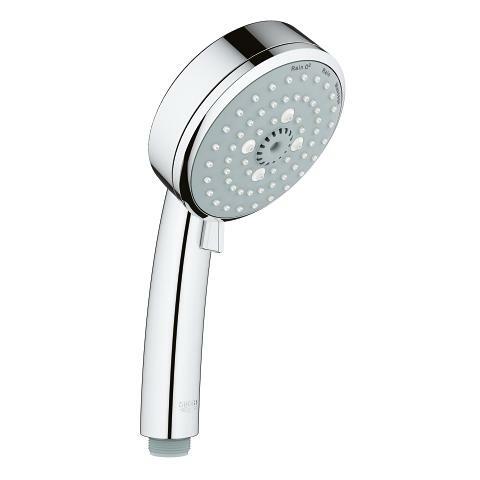 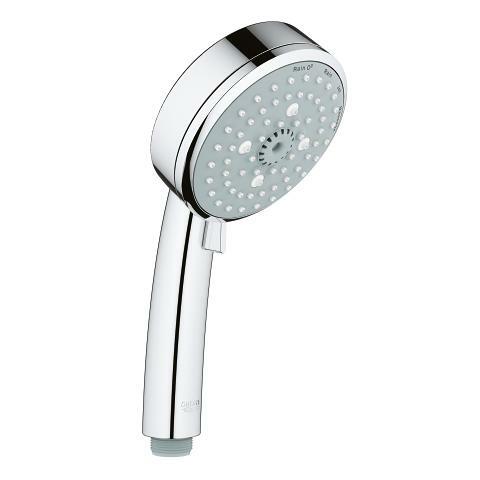 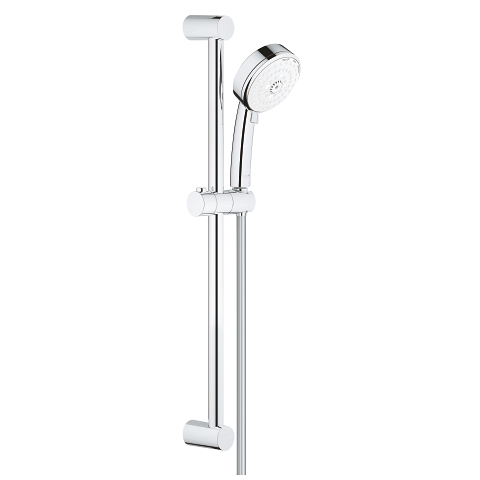 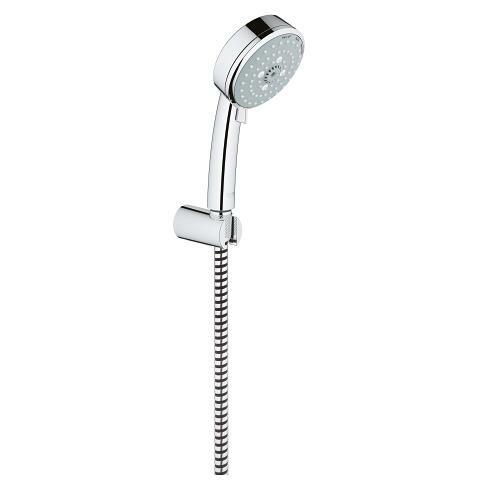 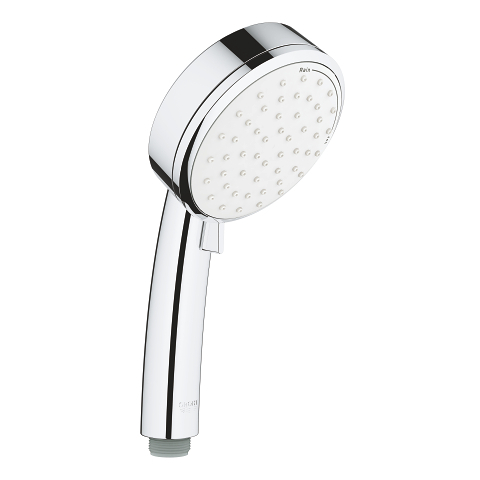 The set is made of GROHE StarLight chrome and gives a distinctive shine to your bathroom. The GROHE EcoJoy keeps your water usage under control, but still gives you a perfect spray . 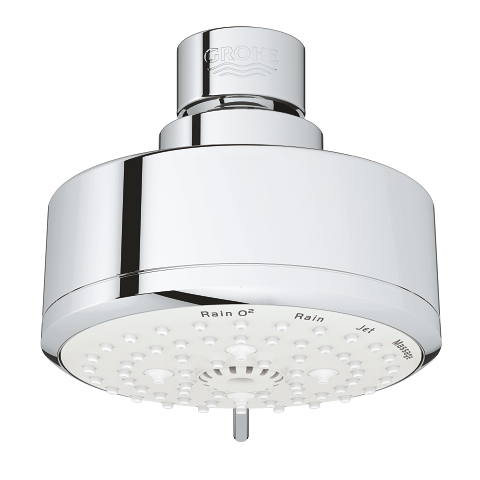 Also thanks to GROHE DreamSpray which uses all spray nozzles evenly. 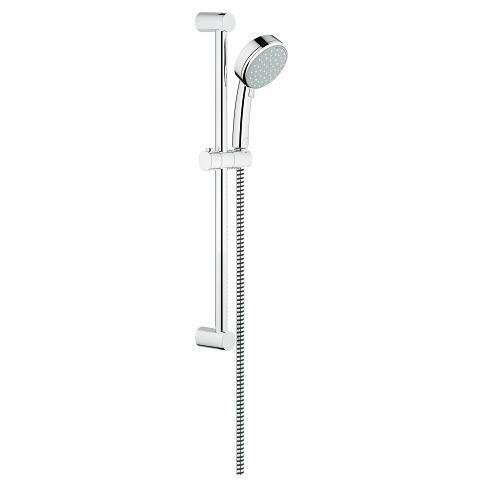 No matter which spray mode you choose. 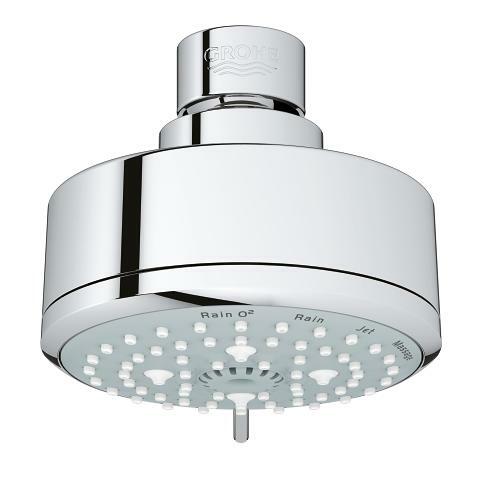 Choose the Rain spray for an invigorating rain shower, or Rain O², which adds air to the water for a softer feeling. 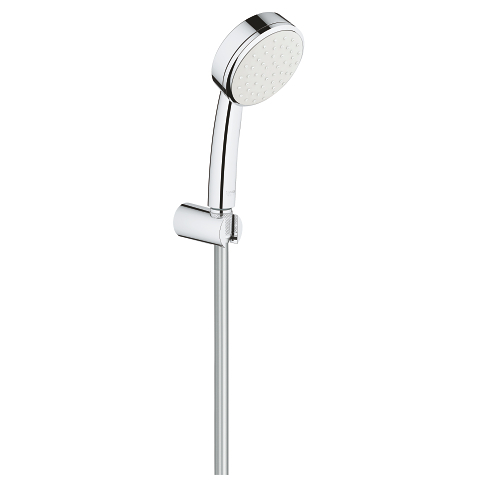 Are you in the mood for the Massage spray with its pulsating water stream or for a soothing effect? 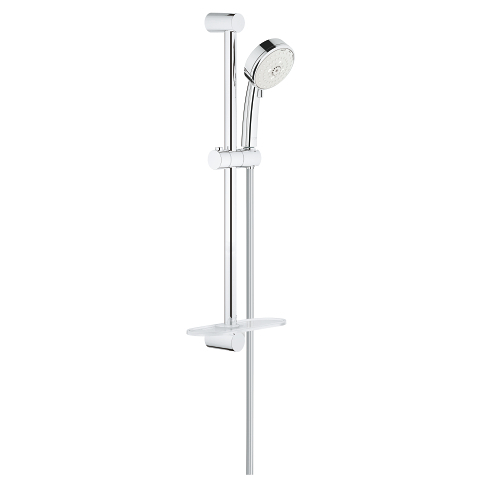 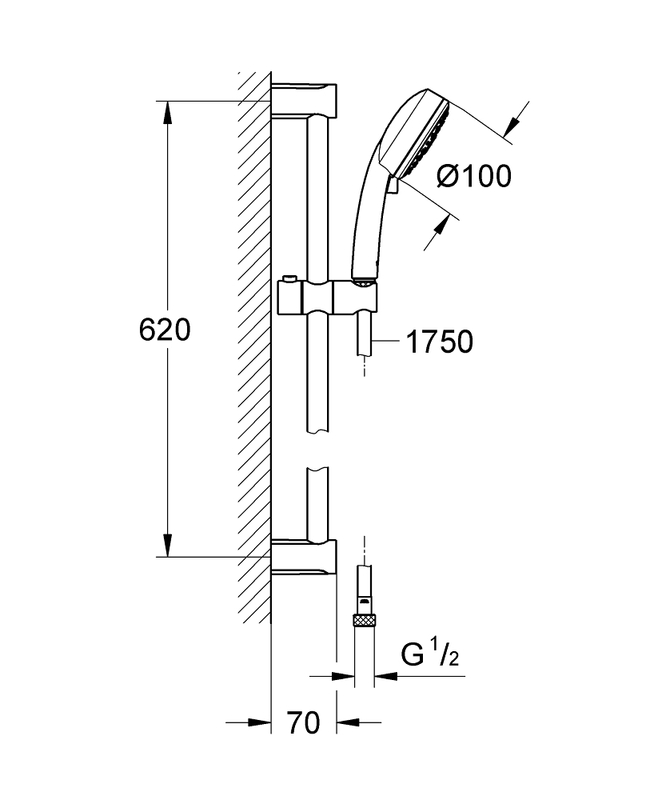 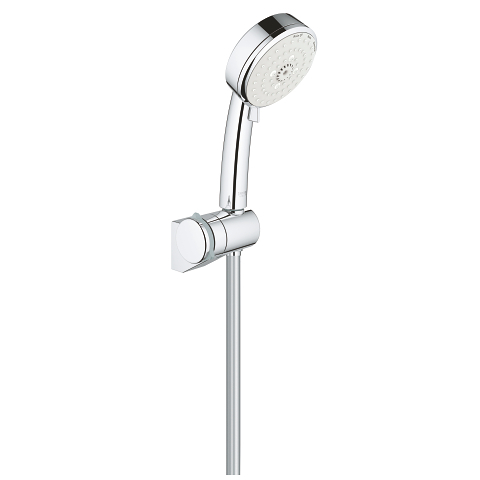 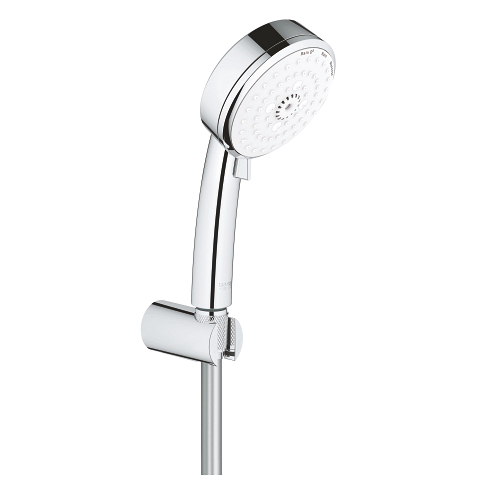 The hand shower is equipped with the SpeedClean anti-limescale system, so limescale stands no chance. 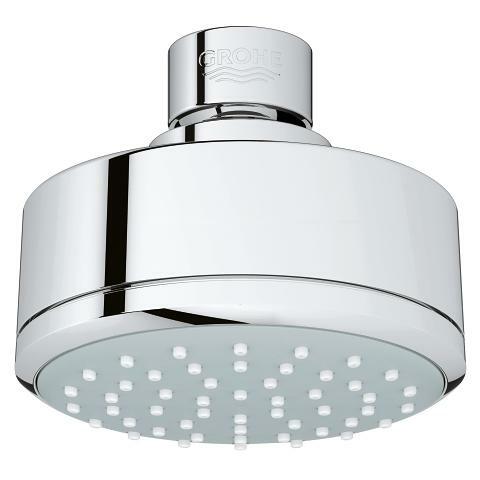 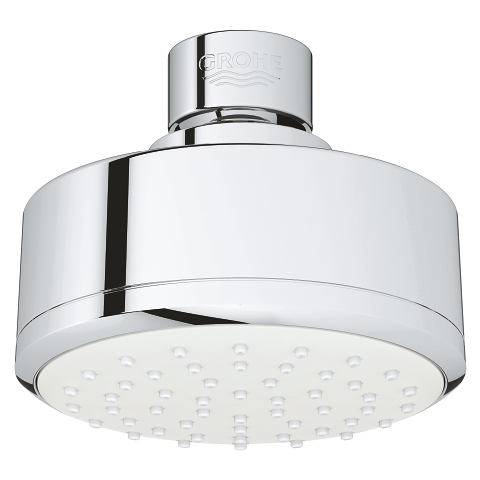 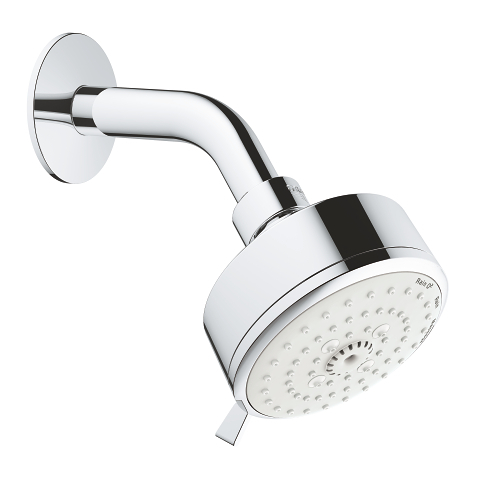 A higher price would have been fitting for this set, but for this price, your showers are even nicer.